The Eagles feel like a side that have the measure of Liverpool. As a video shared by Match of the Day’s social media feeds showed, Crystal Palace have, at least in recent seasons, gotten the better of Liverpool. From the famous three goal fightback on a Monday night in May 2014 to playing spoilers on Steven Gerrard’s farewell Anfield appearance. 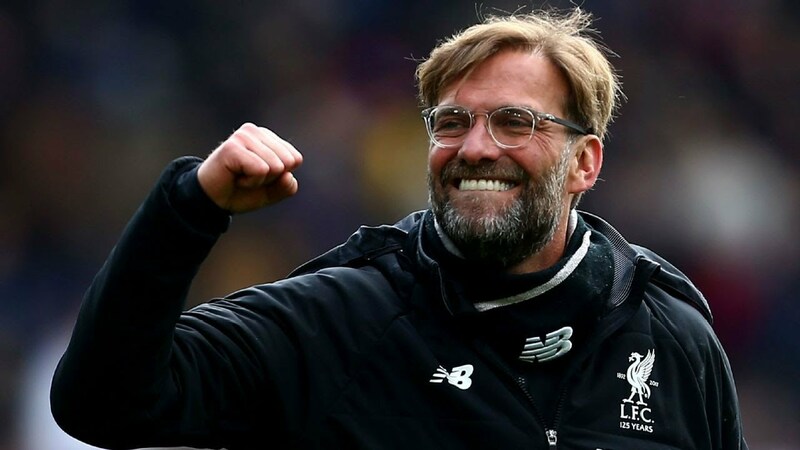 From handing Jürgen Klopp his first defeat as Liverpool manager, to being the last team to defeat Liverpool in the Premier League on their own ground. The Monday showdown between Palace and Liverpool on the second weekend of the 2018/19 season felt like an early defining moment for Klopp’s charges. Having splashed the cash over the summer, and retaining their star names, Liverpool have been widely tipped as the team with the ability to challenge Manchester City and stop them running away with the league once again. As the cliché goes: you can’t win the league in August, but you can lose it. City’s convincing 6-1 victory over Huddersfield set the bar for the chasing pack to aim for, and shedding the demons of that night at Selhurst Park four years ago could well be the catalyst for Liverpool’s renewed run for the elusive league title. Of the eighteen players that were named amongst the squad for the infamous 3-3 game, only two remain at Liverpool: Simon Mignolet and Daniel Sturridge. Mignolet will merely serve to be a back-up to new signing Alisson and Sturridge, providing he can stay fit, will provide an extra option from the bench during the coming season. The fresh players in the squad were burdened with the weight from that history, which conveniently ignores the fact that Liverpool have won their last three league games at Palace since. The players pulling the famous red shirt on before the match this season were tasked with the most important role for their supporters – creating a cathartic experience for those fans. Liverpool fans are the ones who remain at the club since that night, unable to shake the taunts of opposition fans. Liverpool’s victory on their first Monday night visit to Selhurst Park since 2014 certainly goes a long way to clearing those memories, even if the stakes are significantly lower. Both sides named unchanged starting line-ups from opening day victories, and the key battles appeared to be going to take place in defensive areas. Could Palace’s back four cope with the movement of Liverpool’s dynamic forward line? Would Joe Gomez be capable of handling the physicality of Christian Benteke? Has Trent Alexander-Arnold learnt from the errors he made against Wilfried Zaha last season? In a game where Liverpool’s electric front-line failed to ignite, it was the two high profile signings who shone. Alisson could have had a greater test than that which Palace ultimately offered, but what he was asked to deal with he did calmly. His distribution was outstanding, and his performance showed why he has been keeping Ederson on the bench for Brazil. Virgil Van Dijk has largely shored Liverpool’s defence since joining, and in a game which felt like it carried a significant possibility of a slip-up, he did his job without error. The dutchman was commanding throughout, dominating both Benteke and his replacement Alexander Sørloth, organising his fellow defenders throughout, and his solid defensive header created the opportunity for the late break away goal. The performances of Alisson, Van Dijk, and other new boy Keita showed the importance of patience in the world of football transfers. Liverpool’s need for a central defender prior to the previous season was apparent, but even with Southampton refusing to sell, Klopp waited. He had identified his target and was willing to wait a transfer window in order to get his man. The same is true with Keïta, who was signed a season ago, but Leipzig wanted to retain his services for a year longer, and so, rather than rushing to buy another target who may not have been as good, Liverpool’s transfer committee waited and based on his opening two performances, it seems like a good decision. Two games into a season and it is important to temper expectations. Two matches do not represent the nature of the upcoming season, and yet, in a game like this, it feels as if Liverpool have turned a corner. Nobody can deny Liverpool’s record in the big matches, but there has been a consistent question mark of Liverpool to put away teams that sit deeper and defend rather than play an open, expansive game that can be exploited. In a world of transfers in which clubs cannot be patient and fans demand transfers and speculation every day, Liverpool’s policy should be copied by other top clubs. Knowing the players that you wish to sign and being willing to wait and improve the players you have become available represents a much more streamlined transfer policy. But in the short-lived world of the modern Premier League manager, perhaps they won’t be afforded that time. Any trip to Selhurst Park will be a difficult one, and, whilst not even close to as good as Liverpool can perform, a victory in a game which had all the usual hallmarks of a Liverpool drop off in form is progress. If Liverpool are to live up to the hype of title challengers, they needed to prove they had a greater degree of defensive solidity and were able to ground out results. If the result and performance against Palace is any indication of the season to come, then Liverpool will certainly be gaining ground on Manchester City and look most likely to challenge them for Premier League success.